Below you fill find all funeral homes and cemeteries in or near Daphne. Daphne is also known as: Baldwin County / Daphne city. Zip codes in the city: 36526. Some of the notable people born here have been: Pat White (american football player and athlete), Atlas Herrion (american football player), Jeremy Clark (american football player), and Kenny King (american football player). Daphne (/ˈdæfniː/) is a city in Baldwin County, Alabama, United States, on the eastern shoreline of Mobile Bay. The city is located along I-10, 11 miles east of Mobile and 170 miles southwest of the state capital of Montgomery. The 2010 United States Census lists the population of the city as 21,570, making Daphne the most populous city in Baldwin County. 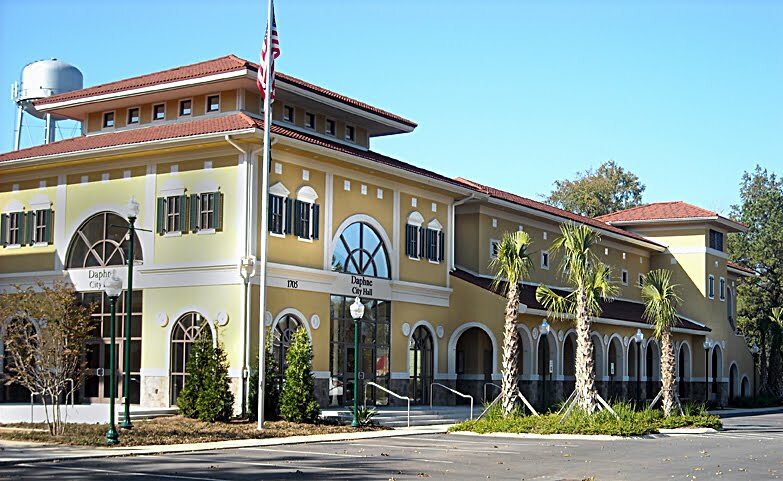 It is a principal city of the Daphne-Fairhope-Foley metropolitan area, which includes all of Baldwin County.The inhabited history of what is now called Daphne dates at least to the Paleo-Indian period and Native American tribes around 9000 BC. Modern-day Daphne is a thriving suburb of nearby Mobile. Daphne has adopted the nickname ″The Jubilee City″ in recognition of its status as one of the locations of the Mobile Bay jubilee. It was noted on June 13th, 2018 that Charles E Jr "Charley" Hoequist died in Daphne, Alabama. Hoequist was 63 years old. Send flowers to express your sympathy and honor Charles E Jr "Charley"'s life. It was written on March 13th, 2015 that Joan B Morena passed on in Daphne, Alabama. Send flowers to share your condolences and honor Joan B's life. It was noted on March 13th, 2015 that Beverly Ann Smith passed on in Daphne, Alabama. Smith was 82 years old. Send flowers to share your condolences and honor Beverly Ann's life. It was disclosed on February 25th, 2015 that Dorothy Ann "Dot" Hatchett (Roberts) died in Daphne, Alabama. Ms. Hatchett was 87 years old and was born in Jackson, MS. Send flowers to share your condolences and honor Dorothy Ann "Dot"'s life. It was noted on March 27th, 2014 that Vernon Shelby Holmes perished in Daphne, Alabama. Holmes was 75 years old. Send flowers to express your sympathy and honor Vernon Shelby's life. It was disclosed on March 7th, 2014 that Patricia Rains (Lavelle) passed on in Daphne, Alabama. Ms. Rains was 94 years old and was born in Fargo, ND. Send flowers to express your sorrow and honor Patricia's life. It was disclosed on June 19th, 2013 that Robert Millard Lt JG Bracken perished in Daphne, Alabama. Bracken was 71 years old and was born in Johnstown, PA. Send flowers to express your sorrow and honor Robert Millard Lt JG's life. It was noted on January 16th, 2013 that Eddie Stumpfl perished in Daphne, Alabama. Stumpfl was 82 years old and was born in Newark, NJ. Send flowers to share your condolences and honor Eddie's life. It was reported on January 6th, 2013 that Estelle Maxwell (Hawkins) passed away in Daphne, Alabama. Send flowers to share your condolences and honor Estelle's life. It was written on June 15th, 2012 that Nanette S "Nan" Hinds (Giovannucci) passed on in Daphne, Alabama. Ms. Hinds was 59 years old and was born in Hartland, ME. Send flowers to share your condolences and honor Nanette S "Nan"'s life. The history of Daphne predates recorded history and shares much in common with other southeastern towns and cities. Daphne is a city in Baldwin County, Alabama County, Alabama, on the eastern shoreline of Mobile Bay. From Native Americans in the United States American, to the Spanish, French and British, the city has seen a lengthy parade of historic influences which gives Daphne it's present character. . . The official website for the city of Daphne is http://www.daphneal.com/. Listing all funeral homes in Daphne, Alabama so you can easily send flowers to any location (same day delivery) or find any funeral service. Funerals in Daphne, AL on Yahoo! Local Get Ratings & Reviews on Funerals with Photos, Maps, Driving Directions and more. 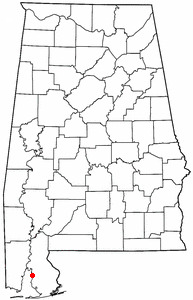 Find a Funeral Home inDaphne, Alabama AL to provide the caring burial and ceremonial services your family deserves. We work with local florists and flower shops to offer same day delivery. You will find budget sympathy flowers in Daphne here. Our funeral flowers are cheap in price but not in value.